We recognised that there was a distinct lack of opportunity for many young people within the city to gain valuable work experience. Together with registered charity Carlisle Youth Zone, we created the ‘Get a Future’ project to fill this gap, encouraging local businesses to ‘take a chance’ on youngsters and provide work placements and mentoring, helping young people to understand and achieve the skills they need for the future, learn why education is crucial, and importantly, realise the breadth of opportunities available within their own home city. For Get a Future to be successful and help realise youngsters' dreams, we need your help! If you can provide a young person with a week, a day, even a few hours work experience here and there, please get in touch and together we can help the youth of the city realise their ambitions, understand the opportunities available to them and reach their full potential. All local businesses have a responsibility to our young people. It doesn’t cost us any money, our workforce enjoyed having the young people here and they were proud to be making a difference. Do it for yourselves and the young people out there. We’re not talking about huge commitments, just an hour a week, or a half term work experience can make a huge difference and do amazing things to a young person’s confidence and find you that hidden talent that we know we’ve got in Carlisle. The programme gives young people the opportunity to gain valuable work and life experience that would not necessarily be available mainstream. It also Gives young people a spark and the initiative to think about their future and helps them to identify strengths and abilities that they did not know that had. 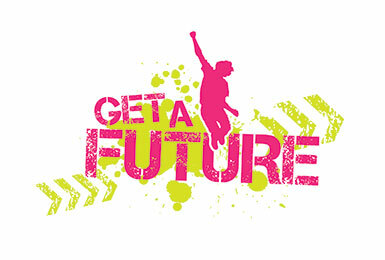 If you would like more information about the 'Get a Future' project or you would like your business to be involved, then please get in touch with us using the contact form below.